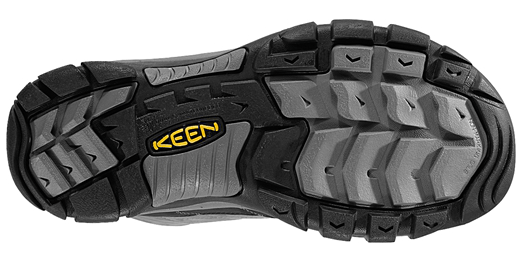 Sometimes – perhaps oftentimes – nothing beats a KEEN. That’s certainly the case with the new KEEN Summit County III boot. Last year, I gave the Summit County II boot a thorough workout here in the Western Arctic, and dubbed it likely the best all-round winter boot I’ve ever tried. The Summit County III continues in that fine tradition, equalling and perhaps surpassing the IIs after three months of testing. The new Summits are perhaps a little more streamlined than the IIs, giving them a bit of a different look and a somewhat changed feel, but it’s all for the better. The IIIs seem to offer a bit more support, which I’ve been conscious of this winter as I battle an ongoing and unrelenting case of plantar fasciitis. As soon as I slip these boots on, much of my discomfort drains away, at least temporarily. The warmth remains every bit as impressive as with the Summit IIs. I’ve only had one boot that rivals them, and slightly exceed them, for warmth, and that’s an old-style Sorel -100 C boot that I’ve owned for about 18 – 20 years. Even when standing around in temperatures hovering at -40 C or a little below, these boots will keep you warm if you had a chance to move around a bit beforehand and trap some heat in them. I often use them while photographing the Northern Lights, and they will turn a bit cold if you are simply going from the warm confines of a car to the glacial air of an Arctic night. However, on occasions when I’ve walked to my aurora-watching destinations, they’ve held their heat for nearly an hour of me standing still taking pictures. I don’t regularly wear these boots if the temperature rises above -20 C, as they’re just too warm. The grip is also phenomenal on them, as the tread turns harder as the temperature drops. Truthfully, I’m not sure how much that helps, since my experience suggests that snow here in the Arctic Circle gets stickier as the temperature plunges below -15 to -20 C.
At the slipperier warmer temperatures, they still function very well indeed, and I almost never strap traction aids on to them as I do with my other boots. 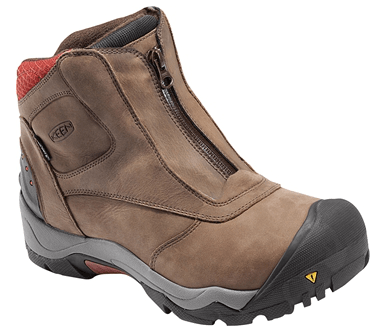 I’ve also had the chance to try out their little cousin, the KEEN Revel zip-up boots, and let me tell, you these boots are impressive as well. Nothing beats a zip-up boot for convenience in the winter. 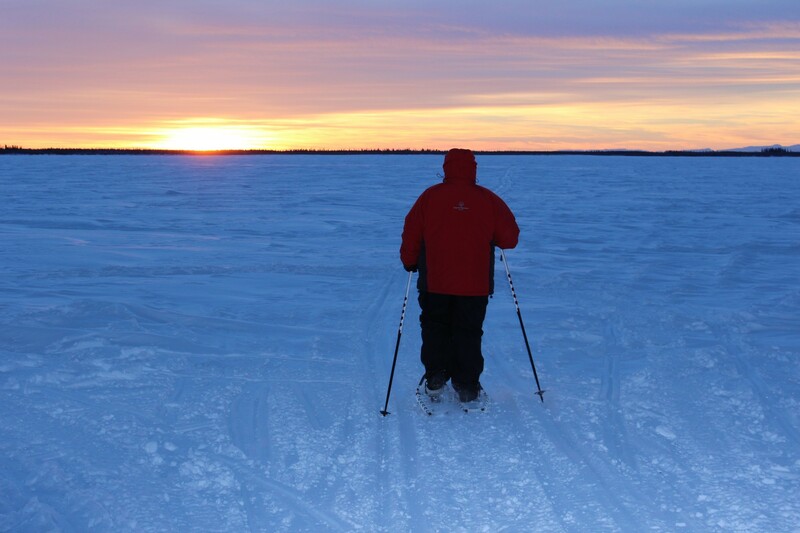 However, most of them fail at doing even serviceable double-duty as a walking, winter-hiking or snowshoeing boot. Not so with the KEEN Revel version. These are some awesomely convenient boots, with great grip, comfort and warmth that translates well into a snowshoe boot as well. In that aspect, I would have to rate them as superior to a pair of Kamik Champlain zip-up boots that I’ve also been using this winter. While I like the Kamiks very much, the KEENs have a distinct edge on them. I’ve found almost nothing to criticize about these boots. If pushed to be picky, I could grumble it took a bit of breaking in and stretching to comfortably do up the zippers, but I was expecting that. And in fact, the boots remain totally comfortable to walk in for at least short distances, with the zippers undone. That’s how I started to break them in, and it took no more than a week to stretch them out to the point where the zippers go up like they’re moulded to my feet. If pushed, I could perhaps argue that their semi low-cut style might pose a problem or two in deeper snow, but I haven’t really noticed it. I started out alternating these boots with the Kamik Champlains, but lately I’ve been gravitating more to the KEENs. As with the Summit County III boots, they handle my pernicious foot pain well, and noticeably better than the Champlains. After a winter with them, there’s no question you can’t do much better than a pair of KEENs. If you want to argue that point, just try them. 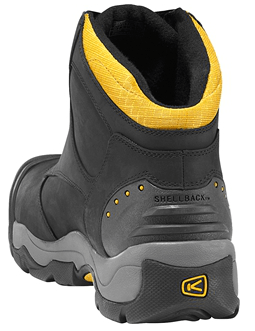 For more information on the KEEN Summit County III boots, visit http://goo.gl/BNDDZX. 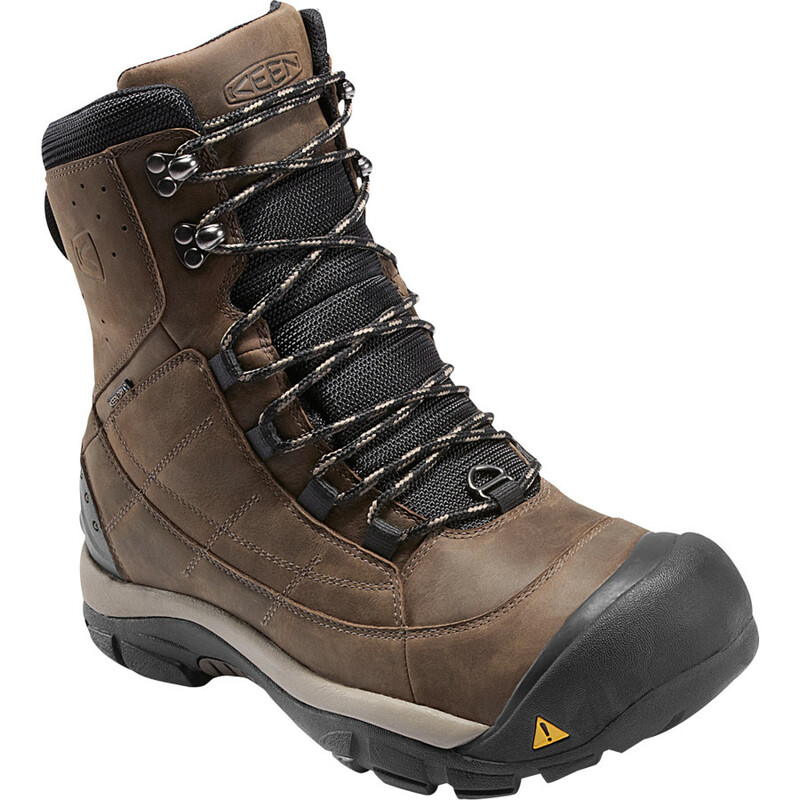 To purchase the KEEN Summit County III boots, click here. 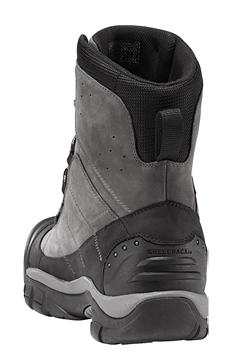 For more information on the KEEN Revel zip-up boots, visit http://goo.gl/e99JST. 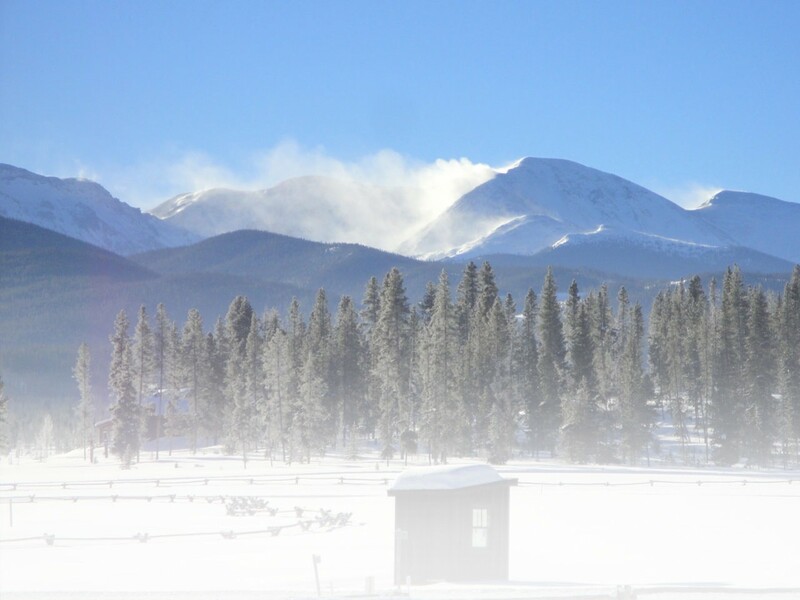 This entry was posted in Footwear, Gear Reviews, Homepage Featured by Timothy Giilck. Bookmark the permalink. Nice article. However I would wear a Boot that has been approved by and for the Military and made in the USA. Before I would even consider wearing a pair of these. The time, research, and money spent developing an approved Military Boot is hard to compete with!